Focus on the ball until it lands in your glove. 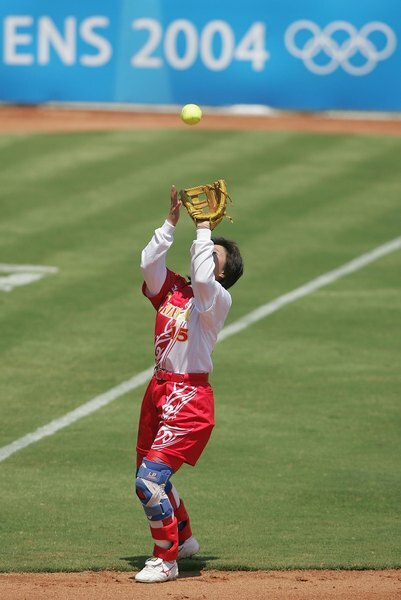 Catching a typical fly ball is a routine but important play in both baseball and softball. If you are a new outfielder, though, catching the ball may be an adventure as you try to determine where the ball will come down and how to get yourself in position to make the play. The best way to learn to catch fly balls is to understand a few fundamentals, then practice catching as many flies as you can. Keep your eyes on the ball from the moment it leaves the pitcher’s hand. You want to see the ball hit the bat so you can get the earliest possible jump on a fly ball. Move toward the spot where you think the ball will land as you track it visually. The most common mistake made by an inexperienced outfielder is to move forward too far, only to have the ball fly over your head. Practice as much as possible to gain experience in judging fly balls. If you’re new in the outfield, play fly balls cautiously. Assume they’ll travel farther than you initially believe while the ball is still ascending. It’ll be easier to track the ball as it comes down. Move at angle, if necessary, on balls hit to your right or left. Don’t make the mistake of running directly to your right, for example, then moving back. 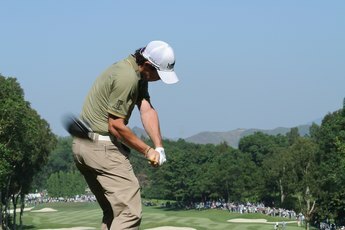 Keep your eye on the ball as you move to your right and back at the same time to shorten your distance to the ball. Remember that balls hit close to the foul lines often have sidespin which will make them curve toward the line. 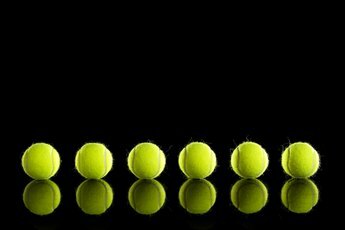 Once the ball begins curving toward the line, it will continue to curve until it hits the ground, or is caught. Raise your glove over your head when you’re in position to catch the ball. Keep the glove within your sight but don’t let it block your view of the ball. The glove gives you something against which to judge the ball’s path. You may also raise your throwing hand as well, particularly if you’re more comfortable catching the ball with two hands. Extend your arm and set your glove vertically, so the top of the webbing points up, as you wait for the ball, then let the ball drop into the lower part of the web. Your glove should be positioned so if the ball passed through it, the ball would strike your shoulder or collarbone on your glove side. Catch the ball at about eye level in front of your throwing shoulder if a runner is on base and you may have to make a quick throw. If possible, stand two or three steps behind the point where the ball will come down, then trot forward to catch the ball. This provides forward momentum that will strengthen your throw. Evaluate the game’s situation before the pitch so you’ll know what you’ll do if a fly is hit to you. If there’s a runner who may tag up, for example, put yourself in position to make a quick throw. If there are two outs and a runner on third late in a close game, be prepared to dive for a fly ball, if necessary, to prevent a key run from scoring. If nobody is on base, though, don’t dive for a short fly ball unless you’re reasonably sure you can catch it. Instead, play it safe and hold the runner to a single.